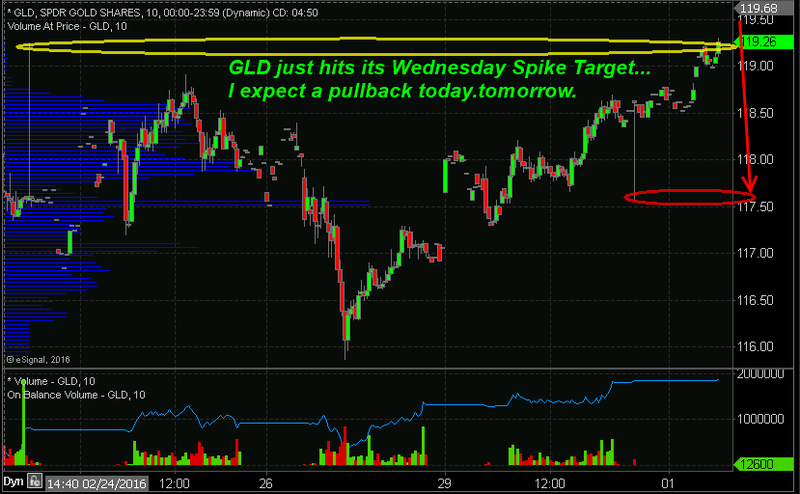 Home / Business & Investment News / Gold Spike Reached Target! – Cha-Ching! Last Wednesday I sent out an update telling you we have a price spike pointing to higher prices.. well today that level was reached, and in fact last night we had a spike down… likely gold rolls over today. The post Gold Spike Reached Target! – Cha-Ching! appeared first on ETF Forecasts, Swing Trades & Long Term Investing Signals.